Trump has gone to a golf course at least 13 times in nine-week presidency. A sign for the Trump National Golf Club is pictured as President Donald Trump’s motorcade arrives on Sunday in Potomac Falls, Virginia. President Donald Trump used to love to criticize then-President Obama for his golf games. If he were president, he’d be way too busy for golf, Trump used to say. Well, now he’s president, and it seems he has more than enough time for golf—more than once a week, in fact. On Sunday, Trump went to the Trump National Golf Club in Virginia, marking his 13th trip to a golf course since he took office on Jan. 20. The White House has often said that Trump uses his trips to golf courses to have meetings with people and just because he’s there doesn’t actually mean he hits the links. That seemed to be the case on Sunday when he was at Trump National Golf Club in Virginia for less than an hour. But he’s played golf in at least 12 of those visits. The commander in chief doesn’t hit any old golf course, of course. He likes going to golf courses bearing his name. And that’s part of a pattern. 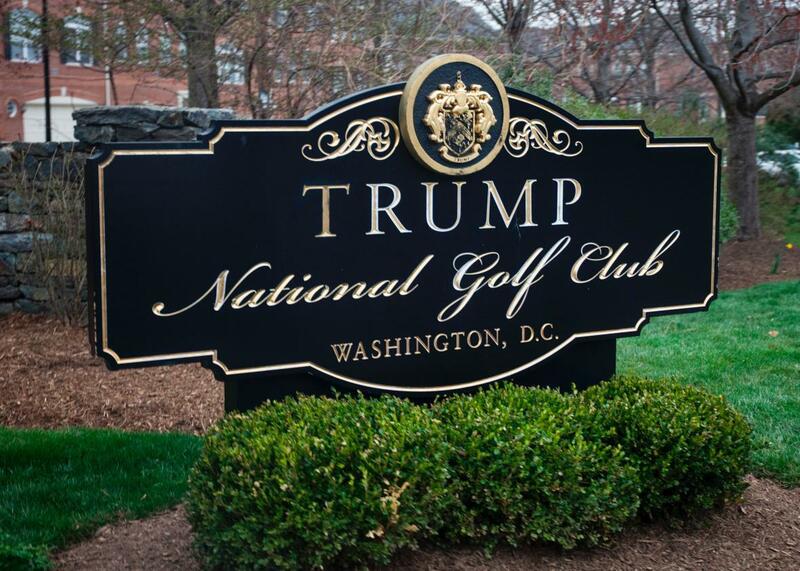 On 21 of the 66 days he has been president, Trump has visited a property that has his name in the entrance, reports the Washington Post. These properties then end up getting mentioned in the media, and entry is suddenly more desirable with the allure of maybe, possibly being able to run into the president of the United States.